Burn Moor, Cumbria, Brats Hill Stone Circle, Nr Boot, England. 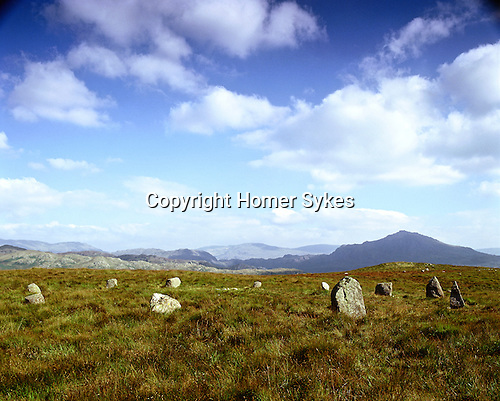 Brats Hill Stone Circle, Nr Boot, Burn Moor, Cumbria, England. Celtic Britain published by Orion. Unlike most stone circles which are positions on low lying land, this is a two mile hike up Gill Bank from the hamlet of Boot in Eskdale.